Last week, it was reported that the Canadian military is studying their options should an international intervention in war-torn Syria become a reality. The Defence Department sources quoted claimed this preparatory planning was not being conducted at the request of the government, rather it was simply a prudent exercise given the escalating violence in Syria. No troops or squadrons have been put on alert as of yet, but if the international community comes calling for partners in a coalition force, the Canadian military wants to have a handy list of options available to present Prime Minister Stephen Harper. The usual pro-war pundits have opined that Canada could, yet again, take a lead role in this deployment as we did with the Libya mission last year. Canadian combat aircraft could rapidly be deployed to support a NATO-led air campaign to assist the Syrian rebels and HMCS Charlottetown, which is already on station in the Arabian Sea, could easily be enforcing an arms embargo off the Syrian coast. What is interesting is the fact that even the most rabid of the tub-thumping Colonel Blimps, who claimed our soldiers’ sacrifice in Afghanistan proved our nation was “punching above our weight on the international stage” and earning Canada a “seat at the table” with the world powers, are now unanimous in warning against putting boots on the ground in Syria. The rationale for using the Libyan template for intervention is based on the presumption that the Libyan conflict was a resounding success. From a NATO perspective, it certainly would appear that way. For 10 months last year, NATO aircraft, ably led by Canada’s own highly decorated Lt.-Gen. Charles Bouchard, bombed the bejeezus out of Libyan targets without suffering a single casualty. Those repeated airstrikes, in addition to the arming and training of opposition forces, the freezing of President Moammar Gadhafi’s finances and the enforcement of a one-sided arms embargo, finally led to a rebel victory. Allied leaders, including Prime Minister Harper, cheered the demise of a tyrant when Gadhafi was captured, beaten, sodomized and executed in cold blood by a mob of rebels. True to a Hollywood-style script, it was at this juncture that the international media began running the credits on the Libyan saga against a backdrop of NATO countries staging elaborate victory parades. Unfortunately for the long-suffering people of Libya, whom we ostensibly intervened to protect, no one thought to tell the rebels to stop fighting. While the Western propaganda machine labelled the anti-Gadhafi forces as pro-democracy fighters, the fact is that, from the outset, this fractious gaggle of ill-disciplined armed militias were fighting for a variety of tribal, economic and religious objectives. 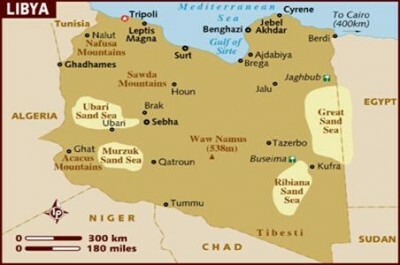 Once the last vestiges of Gadhafi’s regime were removed, these armed factions refused to disarm. Without any form of central authority, Libya has become virtually lawless. Revenge killings, detention, ethnic cleansing and torture continue unabated. On Jan. 25, the organization Doctors Without Borders brought brief attention to the atrocities being committed when they suspended their operations in Misrata. The reason for their withdrawal was the fact that they realized they were providing medical treatment to prisoners just so they could become healthy enough to be tortured again. Last month, one rebel faction stormed and held the Tripoli airport when they mistakenly thought their commander had been arrested. Last week, Juma Obaidi al-Jazawi, a military prosecutor, was gunned down outside a mosque in Benghazi because it is believed that he was responsible for the arrest and execution of fellow rebel, Gen. Abdul Fatah Younes last July. In addition to the savage infighting, the jihadists among the rebel ranks are starting to flex their muscles as well. Rather than being grateful for NATO helping drive out Gadhafi, the al-Qaida elements have begun targeting British, American and UN facilities. To add insult to injury, mobs of Libyan Islamic fundamentalists have now, twice, stormed the desecrated Commonwealth war graves in Benghazi that date back to the Second World War. One has to hope that the Canadian military strategists toiling away at devising a strategy for Syria take a closer look at what was actually claimed to be a victory in Libya.